This is why you have a dash cam, somebody hits you and runs, no problem, you have their plate and the video. Just horrific. A driver sees another driver hit his car in a parking lot, then drives after the culprit, then exits his vehicle at a light to speak to the hit-and-run driver, only to have that driver runs him over and kill him. This shows the rage, entitlement and immunity that some drivers feel. If that perpetrator worried he would face steep penalties for killing someone with his vehicle, he might have restrained himself. But with NYPD always leaning towards “no criminality” with vehicular crime, or at most applying only low level minimal charges, motorists know they are free to use their car as a lethal weapon with few consequences. Re: the so called “parking lot dispute,” I know it says charges are pending but anything less than murder would be a huge miscarriage of justice and also a perfect illustration of just how impotent the NYPD is. Anyone who intentionally mows someone down should be automatically charged with attempted murder, or murder if it’s fatal. There is no credible argument that someone who does something like this did not know that death was a likely outcome. Charge this man with murder, give him the maximum sentence and use it as a precedent in all subsequent cases. Re: Brookkyn Paper on Fulton Ave bus lanes. The business owners are under the misconception that people drive to their businesses, are able to find parking, and then patronage their businesses. This mistaken belief leads business owners to think that parking matters. In reality foot traffic counts far more and better transit generally helps businesses who are located near it. Parking policy in NYC is completely broken due to parking placard abuse and free or underpriced parking. As a result there is low turnover of spots so customers are not driving to a business because of the unavailability of spots. 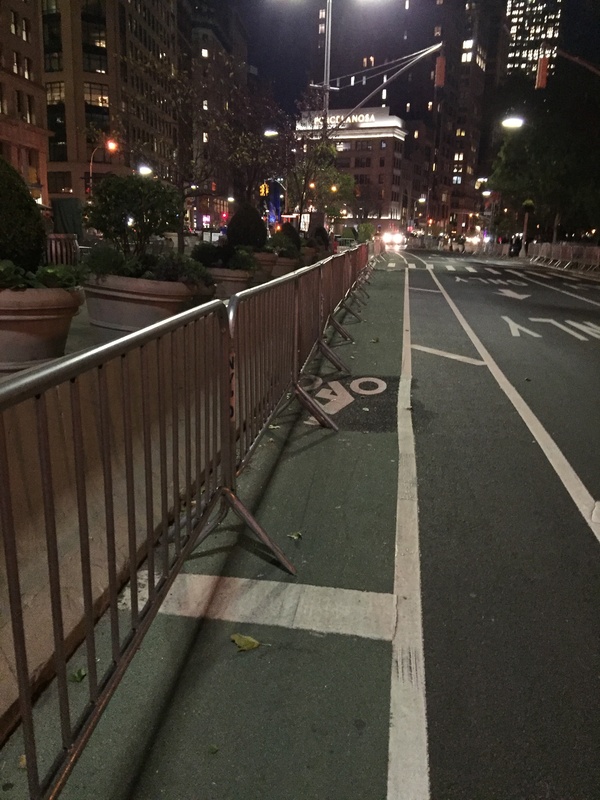 Much better to re-purpose the curbside lane away from a handful of fake parking placard abusers into a bus lane that serves tens of thousands of people. If you don’t think the hit and run driver thought he’d face steep penalties, maybe you’ve let streetsblog get to your head a bit. Remember, staying at the scene can get you out of things according to this site. If you hit and run you’re done. Whether a driver stays at the scene, or hits and runs and later is found (unlikely since few NYPD resources are put into the search effort), either way the charges applied, if any, for vehicular crime are much lower than what someone would be charged with had they hurt another person with a weapon other than a car. Had they hurt someone with their fists, with a knife or a gun, there would be more NYPD resources and more detective work and higher charges. The hit-and-run driver who later turns himself in might have marginally higher charges than the person who stays at the scene, but in both cases vehicular crime is treated much too lightly. The reporting in QNS of the DOT proposal for peotected bike lanes is fair and thorough. Only the headline sensationalizes it and pits parking loss against safety. It’s a shame that headline was chosen because it taints the good reporting contained in that article. not with just property damage. You need injuries before NYPD will care. The difference here is the disparity of penalties you would face if you killed someone via hit and run, versus with a gun or a knife. If I kill someone, leave the scene, and the police find me I can attempt to use the excuse “I didn’t see them”, or “I didn’t realize I hit someone”. If the police buy it, then I’m just charged with leaving the scene. If not, I’d say at worst I’ll do a few years, assuming a jury convicts me. I kill someone with a knife or gun, especially intentionally as in this case, I’m getting the chair. Or at best I’ll never see the outside of a prison cell again. It’s a pity we don’t do public hangings any more. That would not only be an appropriate punishment for intentional murder like this, but it might serve as a deterrent for others who think they can use their vehicle as a weapon without consequences. Agreed. The article was quite fair and thorough, but the headline was a bit sensational. I’m not convinced such a sarcastic Streetsblog link was warranted. If you don’t think the authorities will do everything they can to make sure that this guy faces the least serious charges possible, and gets the lightest sentence possible, then you haven’t been paying attention to the news. He’ll just say that he “felt threatened” and was “trying to get away from the scary man,” and I wouldn’t even be surprised if he tries the old “I didn’t know I’d hit anyone” scam. Because of the outright refusal of NYC authorities to take road crime seriously, drivers feel comfortable defending themselves with lies that would otherwise be laughed out of court. Casual observation / I’ll preemptively note I can’t cite statistics: on-street parking adjacent to retail stores appears to be frequently occupied by store owners and / or employees. ParkNYC is a step in the right direction: it’s more difficult to extend parking beyond the time allowed. Next step: raise ParkNYC’s rates to match local garages or dynamically adjust them to correlate with empty on-street spaces or both. I’m honestly shocked given the track record of downgrading charges in crimes like this. I guess the fact he was drunk didn’t help matters. That was probably the only reason they charged him. If he had done it stone cold sober (thus showing it was even more premeditated than if he had been intoxicated) then the cops wouldn’t have even identified it as a crime.